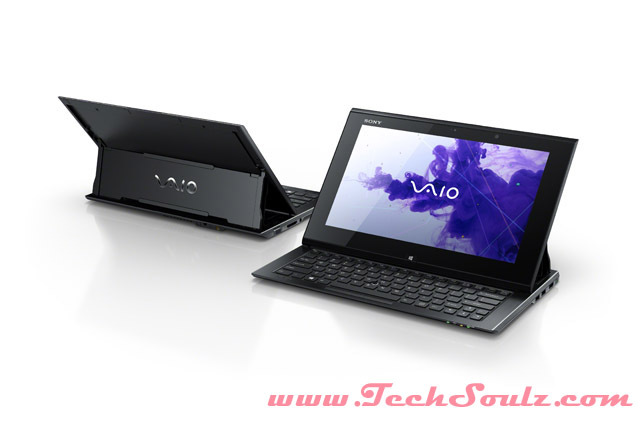 The Sony Vaio Duo 11 is one of the more interesting machines from Sony in a long time. It basically starts off as a tablet, converting to a notebook configuration after sliding the display up to reveal the keyboard. This also explains why, for a flagship convertible notebook, the Duo 11’s screen size is considerably smaller than most. This design sounds brilliant idea on paper, though in reality, things are not so rosy for the Sony. As a tablet, its 11-inch size is great for casual use when there is something to help support its weight; your lap, for instance. Supported by just your hands and arms, its 1.27kg weight is not something you want to be holding onto for very long. When used as a laptop with the keyboard deployed, some users may find the 11-inch display to be a bit too small. Its Full HD IPS display is a proverbial double-edged sword too. Images appear incredibly sharp and beautiful, with wide viewing angles. In the Windows 8 desktop environment, icons and words are incredibly small and hard to read, though not so when in the touch optimized interface formerly known as Metro. Unfortunately, the screen can only tilt at one specific angle, which makes it hard for it to adapt to other usage scenarios like what the Yoga and XPS 12 can achieve. It’s clear that Sony paid a great deal of attention to build quality of the Duo 11, starting with the spring-loaded mechanism that moves the screen upwards to expose the keyboard, and vice versa, as you only need to use one hand to do so. Elsewhere, the Duo 11 is solid and sturdy; its even got a Gorilla Glass protected display. Due to its size, there’s also no palm rest, and no space for a trackpad. Instead, Sony outfits the Duo 11 with an optical sensor, which is not really very helpful as an input option. 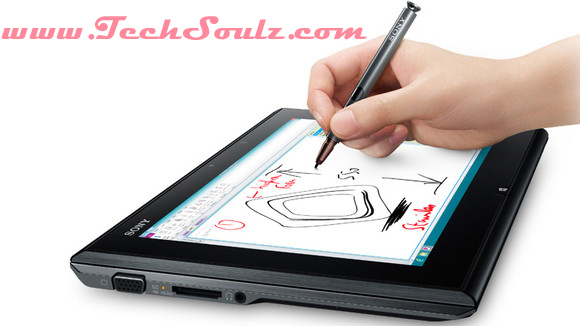 Some users might choose to use the multitouch display exclusively, or to use a mouse instead. Despite its small stature, the Duo 11 has a good suite of connectivity port, including HDMI and VGA outputs, card reader and even a pair of USB3.0 ports. 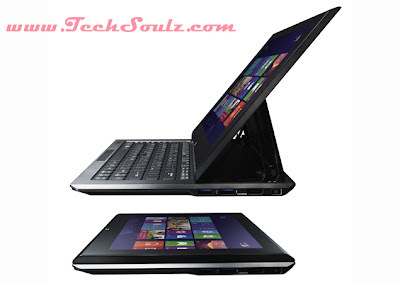 Components-wise, the Duo 11 sports the same base specifications as all the other laptops compared Intel Core i5 processor, 4GB of RAM, Intel HD Graphics 4000 GPU, and 128GB SSD. A potential deal-breaker for the Duo 11 is its very small battery capacity a clear compromise to keep the machine as thin and light as possible. This means its battery life is poorer than the average Ultrabook, even though it’s lighter and easier to carry around. Much like the Samsung Ativ Smart PC Pro, the Duo 11 also has a stylus, instead powered by N-Trig, which is a little heavier than the S-Pen due to the need for batteries.